While there are endless resources online to inspire creativity and help your writing, sometimes it’s good to sit down with a hard-copy book and work through it, step-by-step. If you’re like me and prefer to jot your initial ideas down on paper, without the distraction of the internet, then taking one of the following books to a quiet spot, along with your notebook and pen, should kick-start your writing. This book is written by the founding editor of well-regarded online magazine Brevity, which specialises in publishing very short works of creative non-fiction. Creative non-fiction is a wide-reaching style that can incorporate aspects of travel writing, memoir, the personal essay and other types of essay, so Crafting the Personal Essay is a useful book for writers with a range of ambitions and working in a breadth of styles. Dinty W. Moore’s style is fun to read, includes tips from a range of different writers and sources, and includes prompts to get you writing. This book is very good for story structure. ‘Goal’ refers to what is wanted. ‘Motivation’ to why it’s wanted. ‘Conflict’ is why it’s not attained. Travel stories aren’t supposed to be just chronological diaries. The book analyses well-known movie plots as examples. –Carolyn Pullman. This has helped me immensely. It’s less textbook than reflection/motivation, but is really a wonderful look into the beauty and dedication of writing. –Alyssa Kropp. It’s about the writing life and facing a book project without going mad. The author is ironic and fun and provides insights from major writers along the way. –Gaia Passarelli. This is the one book I recommend to all my students. The book is divided into three sections: for those who want to write and avoid it, he gives practical tips on overcoming resistance; the second section is for professionals, and there’s lots of strong help with taking the step into getting published; the third section is about the spiritual (not religious) reality of writing as a practice. He’s written a half dozen books, screenplays (an early one was Bagger Vance) and you can use the book as a daily resource. –Mary Sojourner. A must-have, especially if you write in travel, like I do. Don George has had a long and successful career as a travel writer, and has worked for National Geographic Traveler Magazine, among other well-known publications. –Valerie Stimac. This book is brilliant at helping to show how to bring artistry to structure. –Alyssa Kropp. The Artist’s Way is a twelve week program designed for anyone ready to recover their creativity. The exercises and assignments are designed for readers to get to know their fears related to their writing, open their imaginations, and build a new sense of confidence. Following the The Artists Way, it’s a good idea to also complete Julia Cameron’s Vein of Gold and Walking in This World. An inspiring and humorous book for anyone interested in using a creative path to healing, and getting to know their true self. Nancy teaches her readers how to reverse the damaging effects done to writers in school, where red pens disciplined grammar and taught them to mistrust their natural ability as storytellers–freezing them in their creative tracks. Natalie Goldberg is a brilliant writing teacher who compares writing to many other skills that require discipline and practice, including relationships, meditation, yoga, and other arts. Fantastic article with engaging resources!!! Grazie! A great list, a few of which I haven’t read. Yay! More books to read. I also suggest Mary Reufle’s “Madness, Rack and Honey,” inspiration for writers of any genre. 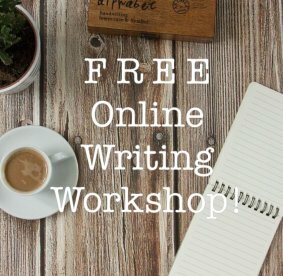 I participated in a webinar with Jeff Goins (goinswriter) today. He was saying that a person should blog from their own world view. His illustration for non-fiction was Steven Pressfield’s The World of Art versus Julia Cameron’s The Artist’s Way. Pressfield’s world view is that creativity is a fight while Cameron’s is that it isn’t. Gorgeous list of great books and I’m honored to have been included. For a bit less practical of an approach, I also recommend Janice MacLeod’s Paris Letters. I had been putting it off because I feel like every single travel writer and their mom recommends it and I didn’t believe it was actually that good…, but I finally read it and I understand why everyone loves it so much. It’s a quick read and great for anyone trying to tap into their creativity.